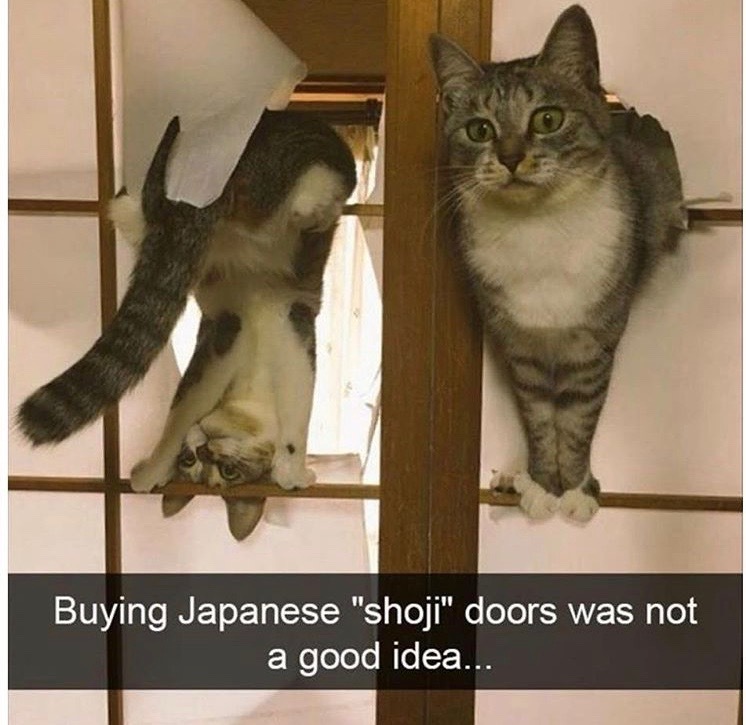 I have a passion for Martial Arts…and through that, I suppose, I also have a fondness for certain Japanese designs (such as shoji doors.) Well, I also – once upon a time being the key phrase – had a lovely set of screens modeled after shoji doors. . .
And then – BAM! – kittens. Did just about the same thing…but decided not to be present when mom discovered the transgression.